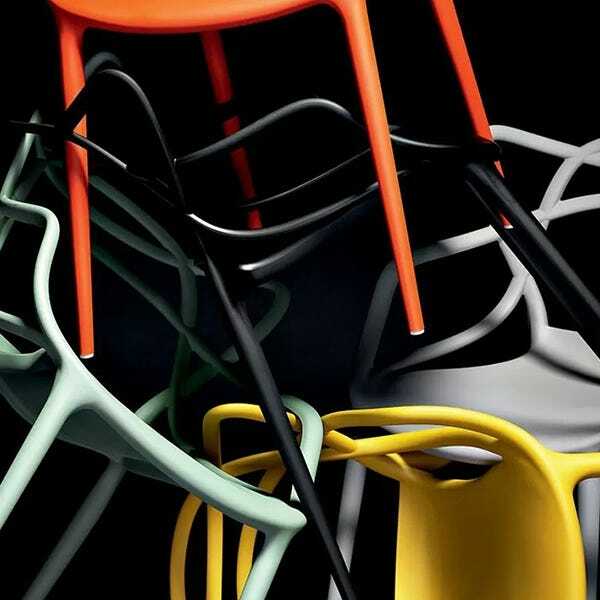 A thought provoking design, the Masters Chair by Philippe Starck is a hybrid of three iconic chairs by legendary 20th century designers Arne Jacobsen, Eero Saarinen and Charles Eames. 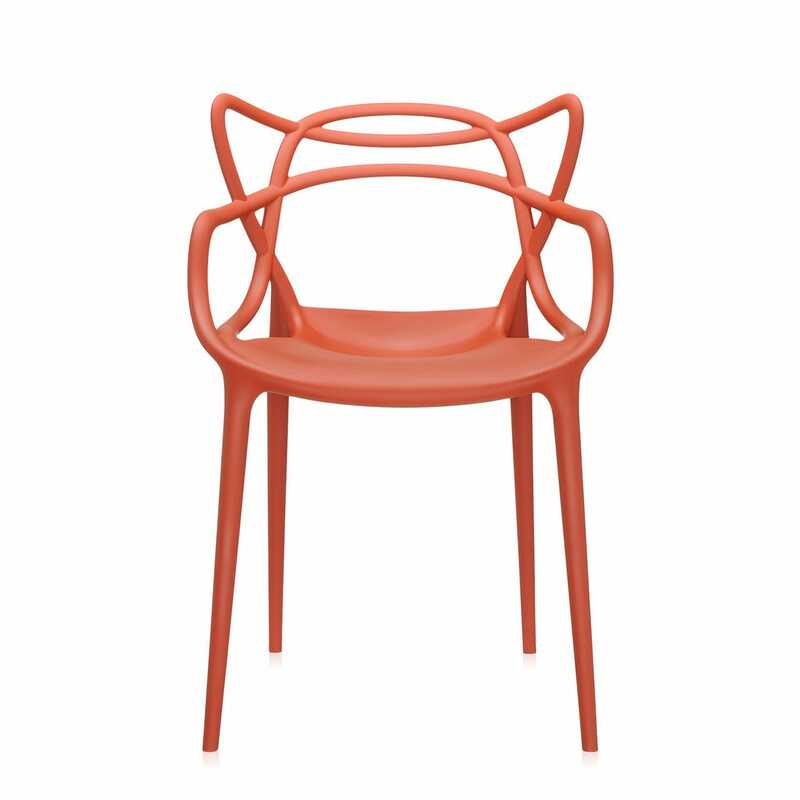 Reminiscent of classic Thonet bentwood chairs commonly found in the cafes of Paris, branch like loops exhibit all the innovative construction and quirky features one expects from a Starck design. 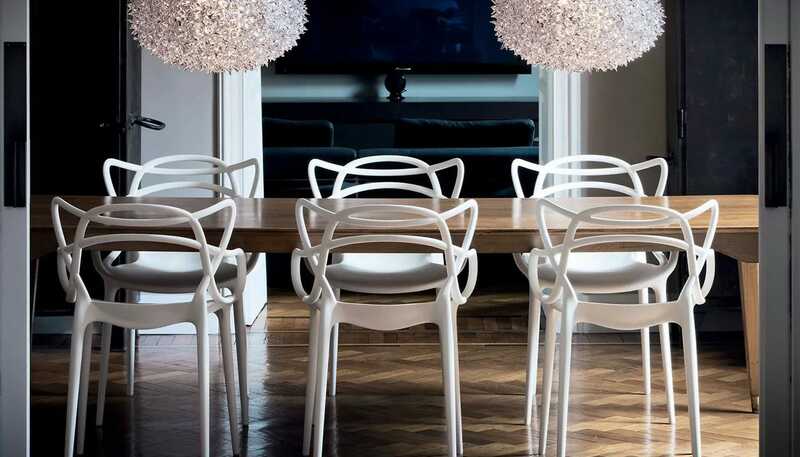 A statement piece available in a variety of colours, the Masters Chair was designed by Phillipp Starck and as with all Starck designs adds a surprising twist to any interior. Moulded from ultra-strong polypropylene, the succession of unbroken curves has no awkward joins or screws. 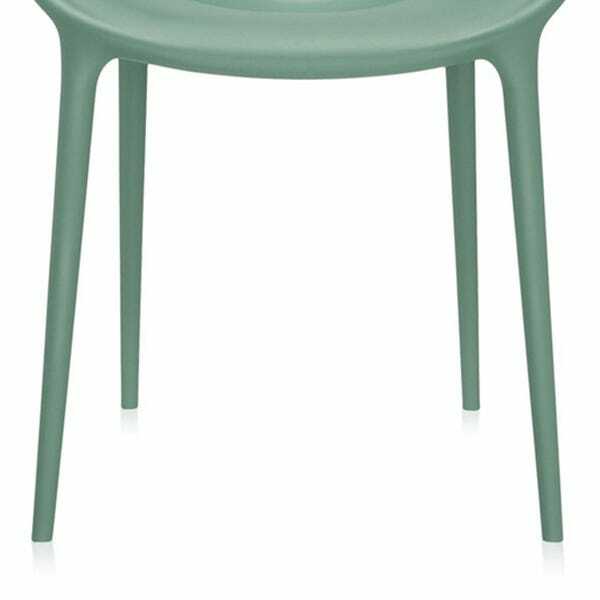 Easily stacks and stows away, the chair is perfect for indoor or outdoor use. 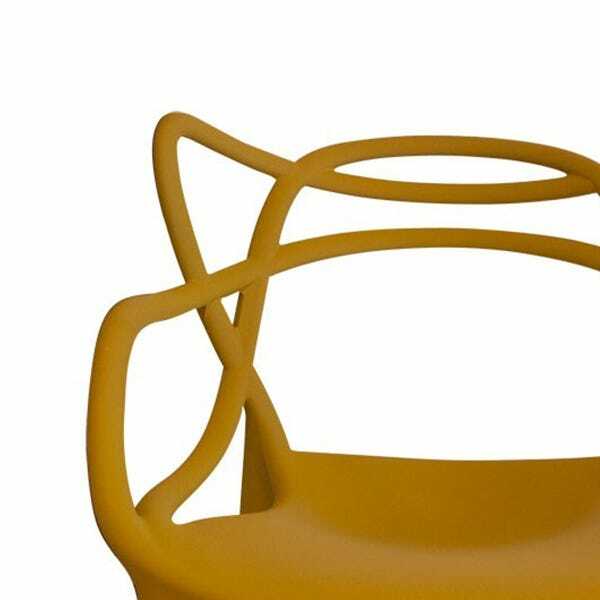 The silhouette of the chair combines three iconic chair designs by prolific designers. 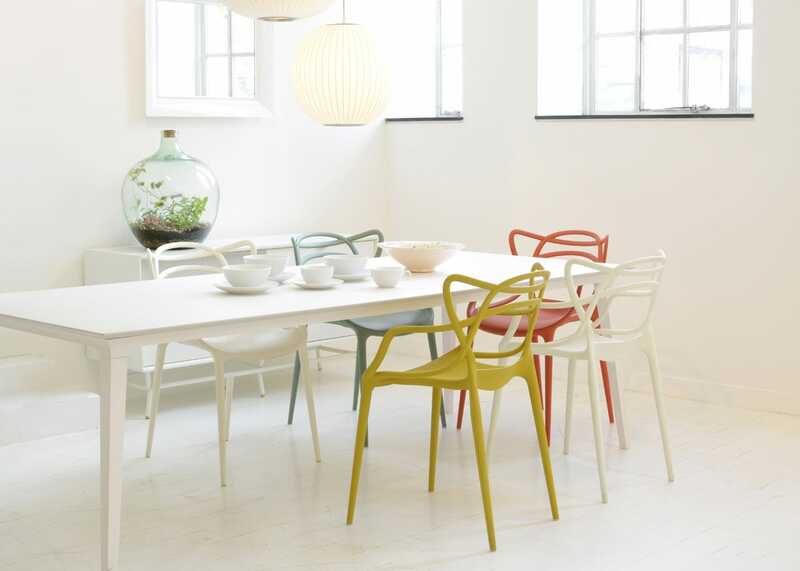 The chair comes in a variety of complementary colours moulded in ultra-strong polypropylene. Tapered legs create small footprint as well as being easily stackable. Great design that fits any decor! They are a little uncomfortable if your sit on them for a longer period of time but it’s to be expected from a plastic chair. Very comfortable. Light enough to move around. This is the second chair I have bought, light and airy in a small room. Visitors comment how comfortable they are too. Love the colour and style. Comfortable too! Love the chair!!! It fits beautifully into any space and is very comfortable and chic. Very comfortable. Lightweight. Legs do not stick out, (a trip hazard with some chairs). Good colours. Light weight, comfy and a lovely colour. Good that we can use it outside too. I got a combination of colours and it looks fab. Very solid and comfortable as well. This turns out prettier and affordable compare to getting a bench. Great chairs, we knew what we wanted and not disappointed with them. 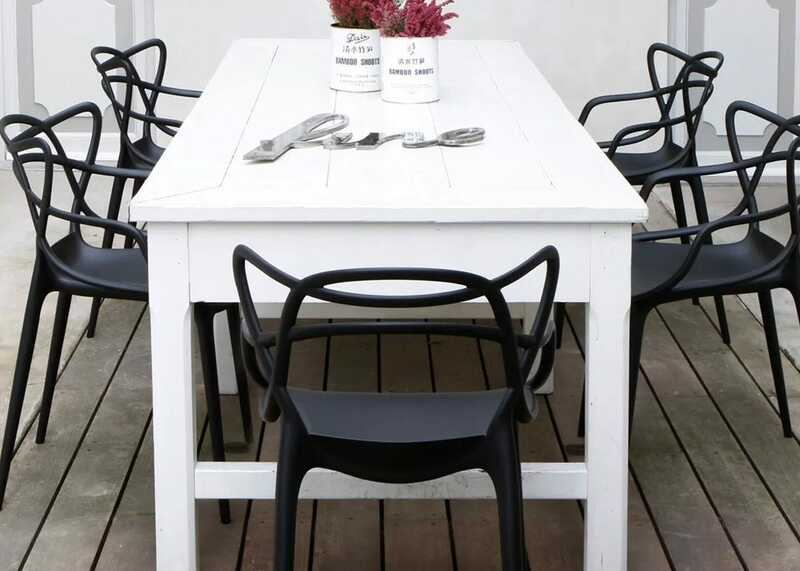 Fantastic chairs -very stylish in the garden and perfect for our family dining room. With four young children and a very busy house, I wanted something stylish yet practical and easy to keep impeccable. I find these ideal and very comfortable. They fit beautifully with my great gradmother's antique oak... Read More. 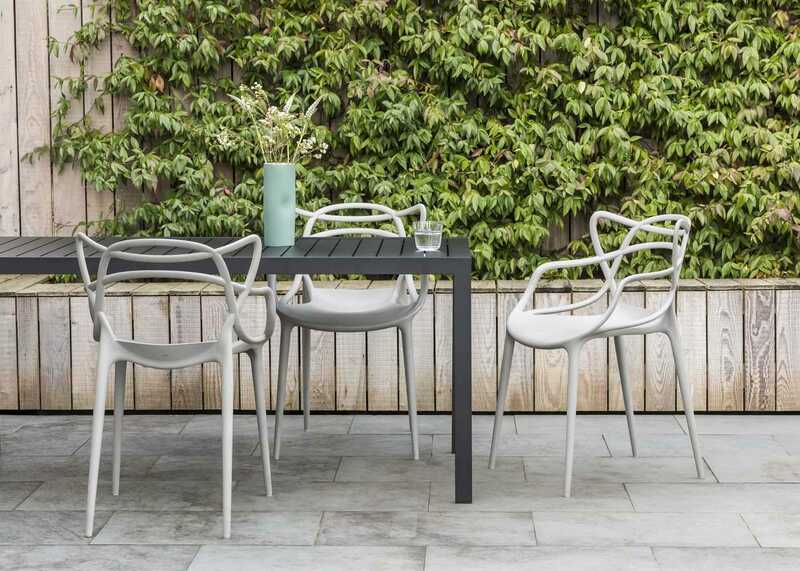 Fantastic chairs -very stylish in the garden and perfect for our family dining room. With four young children and a very busy house, I wanted something stylish yet practical and easy to keep impeccable. I find these ideal and very comfortable. They fit beautifully with my great gradmother's antique oak table- love the antique and contemporary mix. 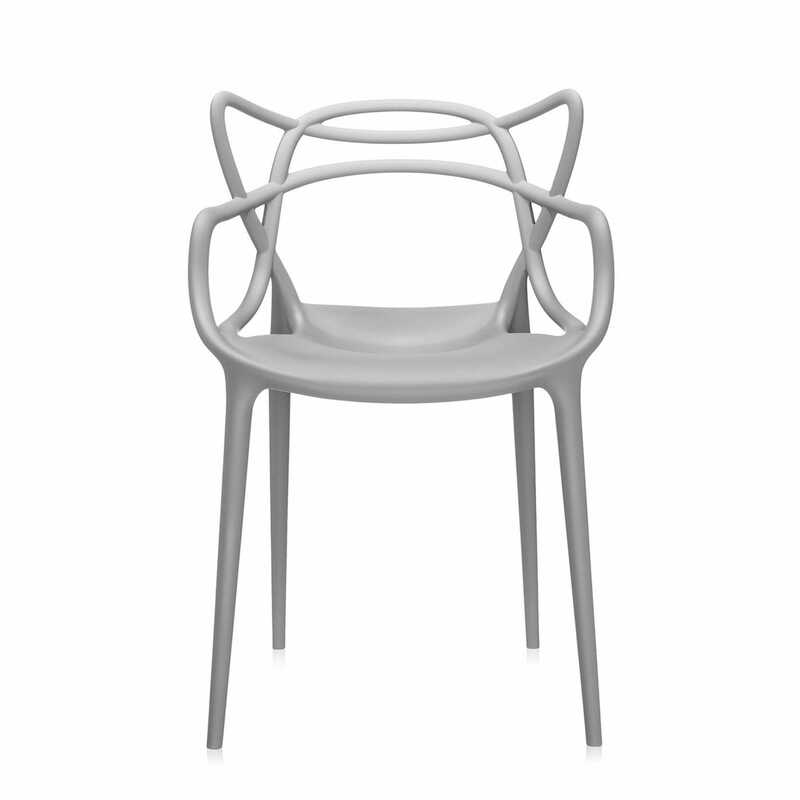 A striking combination of three chairs in one by Philippe Stark. Beautifully packaged and flawless. They were advertised as stackable but when I stacked them, they marked one another.